Are you afraid of squid in the world of Minecraft? Ready to face them? The MeduCreeper addon will add new creatures to the game, which are essentially creepers capable of dwelling both on land and in water. However, now such a creeper squid will not explode; instead, it will attack you with fireballs! Are you ready to defeat such an enemy in Minecraft PE? MeduCreeper is for the most part a reptile that possesses some abilities from a squid. 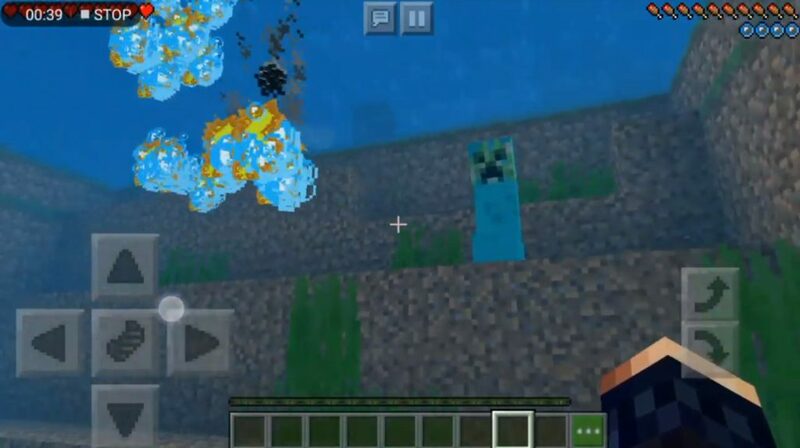 He is not so peaceful, because now the squid will attack you with fireballs in Minecraft Pocket Edition. You can not even hide, because he will find you calmly both on the ground and under water! Now this is not a beta version, but a full addon.